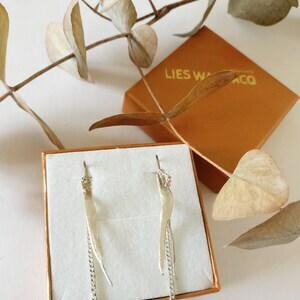 Unique and handmade silver earring. 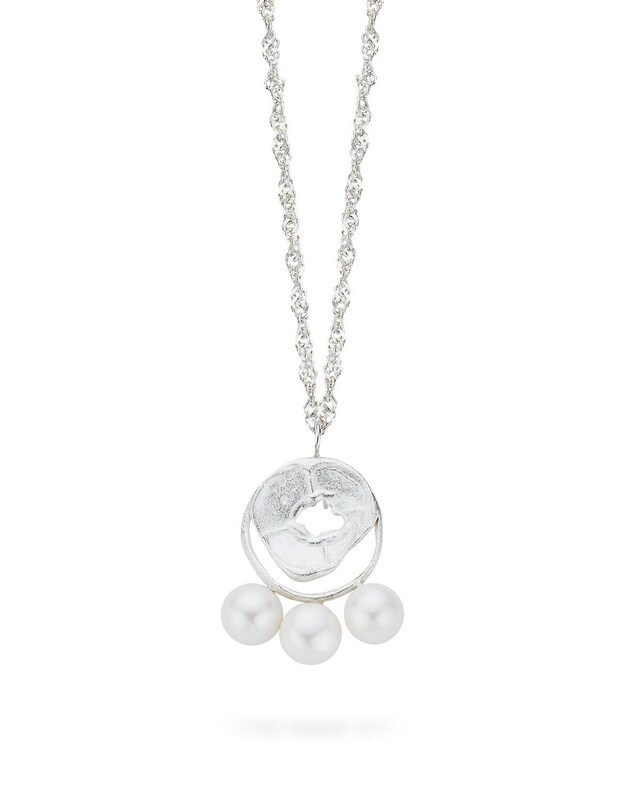 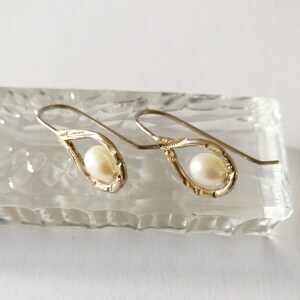 It's an open wire construction with 3 big natural fresh water pearls. 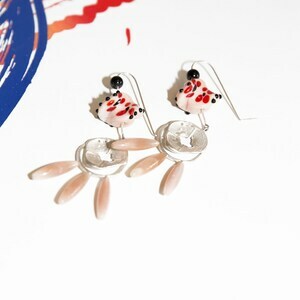 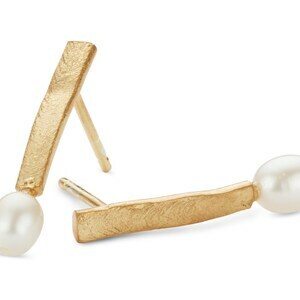 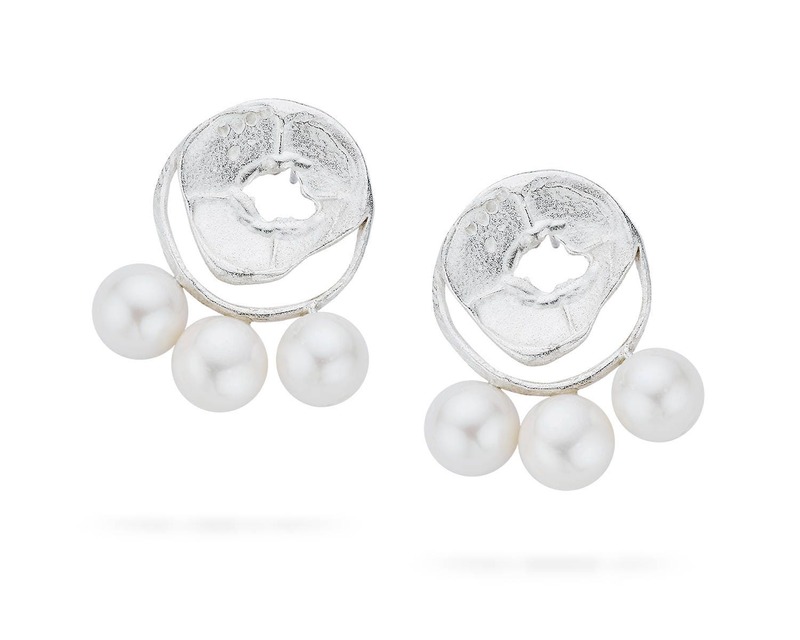 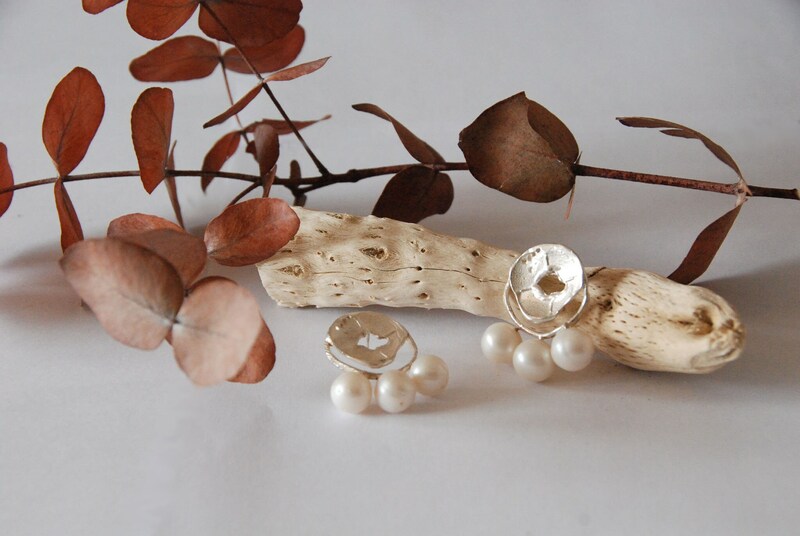 Powerful and elegant earrings that you can wear every day or for a party, for the rest of your life! 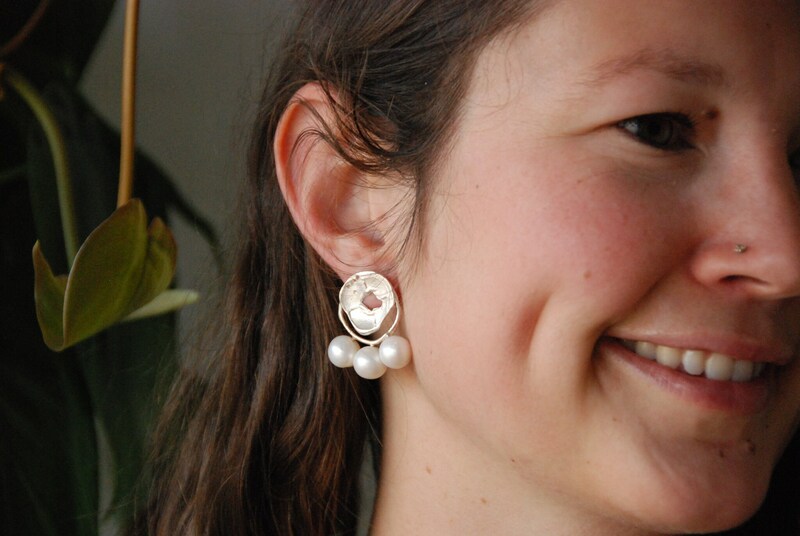 The earrings are created by the ancient 'lost wax technique' and are solid silver.